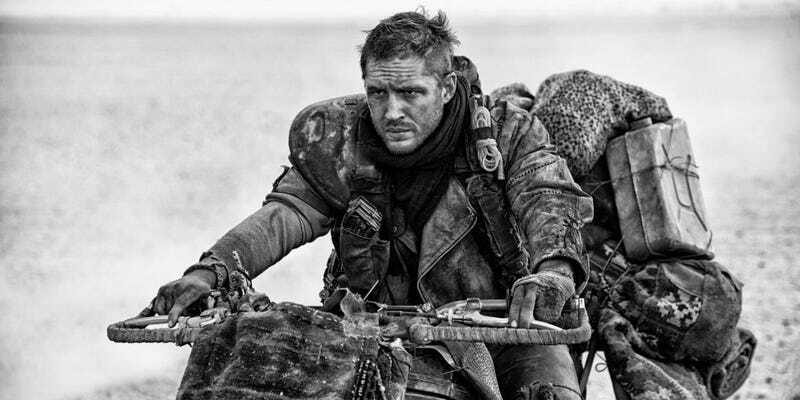 Mad Max: Fury Road director George Miller probably didn’t realize the avalanche of discussion he set off when he first mentioned a black-and-white version of his award-winning film. We’ve chronicled the mystery behind this version of the film in the past, but now it seems like it’s actually happening. Empire Online found an Amazon listing for an upcoming German, six-disc Mad Max collection called the “High Octane Collection.” Part of the set is a “Fury Road ‘Black and Chrome’ Edition—The surreal black and white film version of Fury Road of the brilliant George Miller.” “Black and Chrome” is what fans were referring to the edition as last year. That’s the good news. The bad news is A) As of now, this is just a German release and B) Warner Bros. Home Video said “We have not announced anything and are not ready to announce anything regarding this. This was only announced in Germany.” So whether or not the entire world will be able to enjoy this version in the near future is still up in the air. The High Octane Mad Max box set will be released, in Germany, September 29. Here’s the link.